“Well, it’s not as if we can narrow suspects based on motive.” Dave Mabry shifted his bulk from one foot to the other. Justin Kendall stood by the patrol car with Dave, his focus more on Sheriff MacFarlane and the substitute Medical Examiner – or what he could see of them through the large window of the studio above the garage. “Mr. Thatcher had enemies? I didn’t think the Walllington Gazette roused that much emotion.” Sheriff MacFarlane was shaking his head, his arm sweeping across the room. The overturned chair, folders scattered, pewter goose neck lamp fallen to the floor. Dead body with bruising to a face not yet rigid in death – the still form sprawled face down on a rug that looked to be Persian. Antique most likely, based on softened colors in the pattern and the rest of the furnishings. The massive oak desk was for sure antique. There was a large quilt hung on the wall like a tapestry, and even not knowing more about quilts than he did, it looked to be a complicated piece and sort of artsy. Justin, having been first on the scene, had not turned the body; only checked for pulse and stepped away carefully; he wasn’t senior enough to begin the investigation. He’d observed everything closely though until the Sheriff and Dave arrived, soon followed by the ME from the next county over. Dr. Cotton was away for a few days and Justin didn’t know the old man who had creakily climbed from his car, nodded to them vaguely and was now staring down at the floor as the Sheriff talked. No sign of robbery and not much blood. The way Justin figured it, the assailant must have slammed the victim’s head onto the edge of the desk or struck him with an object. Did he know he’d killed Mr. Thatcher? Or had he simply left him unconscious, not bothering to check the real damage? Second degree murder or manslaughter seemed to fit Wallington more than premeditated murder. “Guess not.” Justin’s surprise at finding Mr. Thatcher hadn’t been unfamiliarity with death; not after six years on the Baltimore force. It was that crime in Wallington had so far been confined to traffic violations, property thefts, bar fights, minor drug possession charges, and sadly, inevitable domestic altercations. The only reason he’d stopped at the classic gray-sided, white trimmed bungalow was because the garage door was wide open and Mr. Thatcher’s new Sirrus bicycle and Honda Goldwing motorcycle were alongside the red 1976 Corvette Stingray that Justin always admired. There had been a rash of bicycle thefts that they were sure was a group of mouthy adolescents. They should pin them down pretty soon, but if Mr. Thatcher was absorbed in something either in the house or in his studio, the expensive Sirrus could be gone within seconds. When there was no response at the door, and no movement to indicate Mr. Thatcher noticed someone was on the premises, Justin had clamored up the stairs to the studio, saw the door ajar, and called out loudly twice before easing it fully open with his foot, hand automatically on his holstered pistol. The unmoving body was prone, a gash on the back of the head, but not as bloody as it could have been, left arm and hand extended off of the rug and onto the hardwood floor. He assumed unconsciousness due to a fall until he saw the bruising along the side of Mr. Thatcher’s jaw. An unbelieving Sheila when he called dispatch. He’d stopped before snapping an answer – he knew better than to get on Sheila Tipton’s bad side with a sarcastic response. He repeated the address slowly, knowing word would spread rapidly among those monitoring the police band. “Let’s put it this way,” Dave said with a grin, bringing Justin back to the subject of suspects. “Gabe’s been involved with lots of women in town – well more like the state when you get right down to it – over the years and that’s caused plenty of trouble. Been a bullet, that would make the list longer, but not many women around likely to get that kind of punching in.” He sucked the cigarette to its end, glanced at the sky that was lighter now. He blew a stream of smoke away from Justin, a consideration even if he, like most of the older members of the small force, chaffed under the discussion of making public buildings smoke-free. “I suppose I could go around to Herb’s place and ask what he’s heard.” Herb’s was a popular bar and grill where much of the town’s gossip was exchanged. “We haven’t been in the house yet and aren’t we going to canvass the neighbors?” Justin had already been disappointed with no tire tracks or noteworthy footprints to show the county crime scene technicians that were en route according to Sheila. The railing to the staircase could be a good source of fingerprints. Justin had seen only a single coffee mug near the sink and one whiskey glass rolled away from the desk, a tiny puddle in an irregular shape on the oak floor. The bottle of Knob Creek bourbon on the counter was one-third full, the Bombay Sapphire gin half-full. Dave straightened, ground the cigarette out on the sole of his shoe and inclined his head toward the staircase as Sheriff MacFarlane and the visiting ME descended. The emergency response vehicle pulled into the driveway with the forensics technician behind him in a black sedan. Everyone piled out at almost the same time. Justin didn’t register the surprise he felt. As the junior man, shouldn’t he be sent to do the canvass and let Dave stay with the Sheriff? Everyone nodded with understanding and set about their tasks as the ME stepped over to speak to Bob and Doreen, the Emergency Medical Technicians. Hank took the stairs two at a time, not touching the railing. Dave moved close to the Sheriff and gestured with a fresh cigarette that he hadn’t lit yet. Justin couldn’t make out what they were saying, but the conversation lasted less than two minutes. Sheriff McFarlane was striding up the walkway between the detached garage and the house, so Justin nodded to Dave and hurried after their boss. Like many of the area’s houses, most people used the back entrance; in this case a combination mud room, laundry, and pantry. An alcove immediately to the right of the door held a large black garbage can, but yesterday had been trash pickup day. The linoleum floor was a slate pattern with a dark grey entry doormat and a washer and dryer were to the left of the door. There was a wooden coat rack against the left wall; the bench type with space beneath for shoes, a tall back with three wrought iron hooks and a shelf on top. One pair of tan leather boots and a pair of running shoes were in place, a red hooded rain jacket on the first hook, a black umbrella on the third hook and several spray cans were on the shelf, but Justin didn’t stop to identify them as he crossed into the kitchen. “I don’t expect we’ll find anything, but Hank prefers not to be disturbed and he’ll be done pretty quickly, so we might as well check in here.” Sheriff McFarlane had removed his hat, his short brown hair salted with white that made him appear older than Justin knew him to be. The sense of age was heightened with skin leathered by outdoor hobbies of canoeing and fishing. He was an inch taller than Justin, barely missing six feet and either deliberately kept his weight a little under 200 pounds or that, too, was a product of his physical activities. Justin had initially thought him to be lacking in drive until he realized that his easy going style masked a close eye for detail. He seemed to know everything that happened in the office and anything important around town. Justin stood in the middle of the room that was updated without having an ultra modern look. A galley section for stove, refrigerator, dishwasher, and double porcelain sink; almond–colored appliances rather than the popular stainless steel of current remodels. The countertops were good quality butcher block. The microwave was an over-the-stove model and a bank of lower cabinets with a breakfast bar and three dark blue painted metal high-back stools opened onto the dining area. A round table that could seat four was positioned between a window on the end wall and a bay window looking onto the front yard and road. The floor was wide-planked pine and the braided oval rug was blues and greens. No dirty dishes in sight, and a telephone stand with a mobile phone against the far wall had a drawer, a telephone directory in the open area underneath and a dark green leather address book next to the telephone. A lack of faint cooking odors probably meant the freezer and pantry held mostly microwaveable items. Not unexpected for a bachelor unless he was into cooking shows. “See if there’s a redial function on the phone, and I’ll look in the den after I check his bedroom,” the Sheriff instructed as he walked through the opening that might have once been a door closing the kitchen off from the rest of the house. Justin slipped on a pair of surgical gloves that he carried despite jibes from Dave and found six stored numbers in the telephone; all but one being local. The address book was actually only phone numbers with initials and held no enlightening scribbled notes. There were quite a few, a mix of local and other area codes. 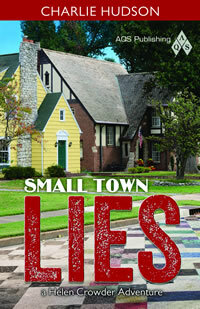 Sheriff McFarlane glided back into the kitchen, shaking his head, his brown eyes neutral. “Nothing that we need in there. Hank’s probably done by now and then I’ll tell you what comes next.” His voice had an uncharacteristic tightness that Justin didn’t remember having heard before. What was going on? “Yes sir,” Justin said in reflex even though he rarely called the Sheriff that – it seemed appropriate with the more somber circumstances. By the time Justin completed his task at the house, the covered body was being loaded and the Sheriff motioned for Justin to wait as the emergency vehicle cleared out of sight and they were alone. The Sheriff held up a hand. “Listen, we may kid you about being a big city boy, but the truth is that I’ve been impressed with you. You pay attention and you’re fitting in just fine. Not every man would be willing to leave a promising future because his wife wants to get back to a place where stealing bicycles is the major crime spree.” His jaw tightened a bit before Justin could react. “Yes sir,” Justin said, his mind churning ahead. “Go on then, and let’s see if we can wrap this up in a day or two.” The Sheriff moved to his car, shaking his head slowly. Justin didn’t wait for him to pull onto the two-lane road to begin a more studied stroll around the garage looking for anything he might have initially missed. Nothing upstairs was going to move and the breeze that had picked up could scatter something like a gum wrapper. The expanse of grass ran to the road to the left, to the house to the right, and in the back before it ran into a stretch of shrubs and trees that separated the Thatcher and Fairfield properties. Thick, neatly trimmed boxwood shrubs formed a U around the garage and there was no sign of broken branches or other disturbance – it wasn’t as if someone had crouched hidden in them. The grass bordered on needing mowing, although the garage was devoid of any type of lawn mower. Based on what little he did know of Gabriel Thatcher, who wrote multiple columns for the bi-weekly Walllington Gazette and occasional articles for some of the larger surrounding newspapers and regional magazines, he would have left hard labor to the landscaping service annotated in his address book. Outside seemed clean enough – if there had been something, it wasn’t to be found. Justin, still wearing the gloves, walked up the stairs slowly this time, studying each step. He wanted to center himself, enter the studio with a fresh pair of eyes. Ah, there – at least one thing he’d missed. The door to the studio opened outward and while he had been alerted to the fact that it was slightly ajar, he hadn’t noticed the flecks of white paint on the edge beneath the knob or the fresh scrape on the white painted railing. The door had probably been yanked open, flung against the railing, not an inadvertent careless bump. This might speak to anger from the beginning, not an escalating argument. Justin played it in his mind, imagining whoever pounding up the stairs. Had he – figure he for now – tried the house first? Everyone knew about the studio above the garage. Justin stepped inside, stopping on the heavy duty brown doormat. The signs were not of a prolonged struggle. Considering the angle of the chair at the desk and the glass on the floor, Mr. Thatcher was probably at his computer, shoved back, and rose at the intrusion. Then what, stepped around to try and reason with the man? That would make sense, but wait. Justin closed his eyes thinking back to the body. He hadn’t seen it turned face up and didn’t know if the shirt had been torn. He saw it now though – there had not appeared to be defensive wounds on the hands. He was certain of it. Had the first blow been a sucker punch? A reeling punch by a significantly bigger man? The wounds had been made with fists – he knew what a pistol whipping or baseball bat beating looked like. A few blows to the face and maybe body, then a blow that sent him tumbling against the edge of the desk. There was no readily visible blood on the desk, but there had been hairs that the technician obviously bagged. Since the gash on the back of Thatcher’s head had not bled profusely, the odds were that the wound had produced a subdural hematoma rather than instantaneous death. Justin checked the portable telephone to verify that it was an extension of the house phone and didn’t see a cell phone on his initial survey. The laptop was password protected and while it was no doubt something simple, it would be best to let an expert have a go at it. Where was the cell phone? Justin stood at the corner of the desk and stared at the deep red upholstered sofa and matching chair that created a sitting area. He crossed, knelt and lifted the short piece of fabric around the base of the sofa. He withdrew the black cell phone that appeared to have been smashed like with a heel stomping it, then kicked away. So much for getting numbers immediately. He bagged it and continued his cautious, observant movements until he made his way into the bathroom. The mostly white room wasn’t large and there was a corner fiberglass shower stall. It was the type of stall that came in a kit with a molded soap dish. The medicine cabinet held an unopened toothbrush, a travelers’ size tube of Colgate and a bottle of Advil. The dark blue wicker wastebasket was nearly empty with a few tissues and the white plastic top to a medicine bottle. He pulled it out gently and lifted the basket to verify that it was only the top, no bottle. That was strange, but he wasn’t sure if it meant anything and made a quick note in his book so he wouldn’t forget it. His radio crackled for attention. “Hey, you ‘bout done? Sheriff told me to pick you up if you’re ready. I’m leaving the Hawkins’ place right now.” It was Lenny, the fourth deputy on day patrol. The Hawkins’ farm was close by and their goats had probably wandered into the neighbor’s garden again in the on-going feud between the properties. “Yeah, I’m wrapping up.” Justin wanted to get the telephone and computer back to the station. He would call the Sheriff to let him know they needed county support and maybe if they weren’t too busy, they could send a technician first thing in the morning. The Sheriff had been correct about word spreading rapidly and Lenny pressed him for details. “Ain’t no way Gabe was killed over anything but a woman,” he pronounced with a mixture of what sounded like satisfaction and awe. At twenty-five, Lenny was the youngest police officer. His status as both a former Army Military Policeman and having been born and raised in Wallington meant he was senior to Justin despite being younger. On the other hand, he had yet to display any indication that he wanted to do more than be on patrol. That wasn’t to say he lacked ambition. It was more as if he was genuinely comfortable with where he was. He was a head shorter than Justin, not as hefty as Dave or as muscled as either Justin or the Sheriff. He’d retained the military style haircut for his black hair and his eyebrows were short and thick, almost as if they’d been partially shaved or burned off. Lenny was the most talkative of the deputies and other than Sheila, he was Justin’s main source of information about people in town. Well, his wife Tricia and mother-in-law, Helen, were his most trusted sources, although they didn’t offer as much spontaneous commentary. Dave had come and gone at the station and after the ritual of shift change, Sheriff MacFarlane drew Justin into the office, closing the door behind him. He propped on the corner of his uncluttered wooden desk and motioned Justin to take the wooden chair in front of the desk, its seat and arms worn smooth from years of use. It was a utilitarian office with two windows opening onto the street, a pair of heavy dark blue curtains that could be drawn for privacy. They were open as the Sheriff usually kept them and the weakened afternoon sun slanted in. “You want me to go see if Roger Jenkins has an alibi?” Justin vaguely recalled the man. Mechanic? Air conditioning repairman? Plumber? Something like that. “Yes sir.” Justin said, thinking that if Gabe was killed over a woman, that certainly tracked with the usual top motives. He was in the patrol car getting ready to leave for Jenkins’s address when Lenny called on the radio. “Will do, thanks,” Justin said, turning left. Gabler Air, Plumbing, and Heating was two blocks away and when he pulled into the small parking lot there was a black Ford F-150 with a Gabler’s sign painted on the truck and an older silver Chrysler minivan. Gabler’s was a red brick building with two wide white metal garage doors that opened onto the parking lot. They were closed and he went into the office. It was a rectangular room with a black vinyl couch and a wooden coffee table against the left wall. An empty coffee pot, a short stack of paper cups, and a square blue plastic basket containing sugar and creamer packets were on the table. A blue Formica-topped two-tier counter was to the right and a door in the center of the wall facing the front door was closed, no sign to tell what it led to. A woman about Sheriff McFarlane’s age was sitting in a gray fabric office chair, four grey three-drawer metal filing cabinets lining the wall behind her. Neat stacks of file folders and a telephone were to the woman’s left, a computer and printer to her right. “Uh yes, I am,” he said, mildly startled. Maybe everyone did know everyone else’s business. Justin hesitated, wishing he knew where the Suttons lived. Was that close to Mr. Thatcher’s? If Jenkins had a guilty conscious, would he be working a late job? Unlike Paul Newton, no one had reported Jenkins being around Thatcher’s place, and the Sheriff had already indicated that this could wait until morning. Since Justin was due at his mother-in-law’s house for dinner, it didn’t seem worth cancelling that to wait for Jenkins. “I will, and it was a pleasure meeting you,” he said, backing out of the door. He called into Dispatch and asked that the night patrol drive by Jenkins’s address just in case he unexpectedly disappeared in the night. Justin also asked about Newton and was told that the Sheriff was checking his whereabouts himself. He wasn’t entirely sure what that was about, but he did want to run by the house, change out of his uniform, and grab a bottle of wine to take to Helen’s. Copyright © 2001-2019, Charlie Hudson. All rights reserved.